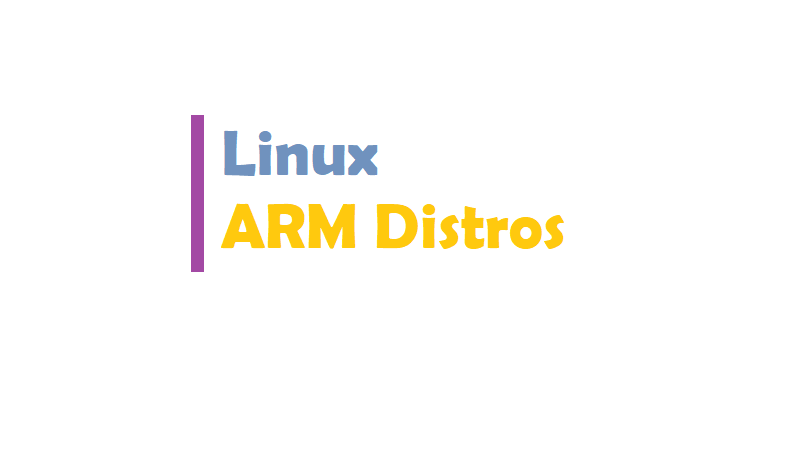 Many Linux ARM distros available today, I provide a list of some popular Linux ARM distros for ARM devices. The ARM EABI (armel) port targets a range of older 32-bit ARM devices, particularly those used in NAS hardware and a variety of *plug computers. The newer ARM hard-float (armhf) port supports newer, more powerful 32-bit devices using version 7 of the ARM architecture specification. The 64-bit ARM (arm64) port supports the latest 64-bit ARM-powered devices. Other ports to ARM hardware exist / have existed in and around Debian – see the wiki for more links and an overview. Arch Linux ARM is based on the excellent Arch Linux distribution. It’s an active, fast-moving rolling release that is compatible with Arch, and in fine Arch fashion has good documentation. It’s a complete Linux distribution with thousands of packages. This is the one I recommend to ARM noobs; it’s lightweight, efficient, and the community support is quite good. Arch Linux ARM runs on any processor that supports ARMv5TE or higher, which includes fun cheap boards and gadgets like Pogoplug, SheevaPlug, TonidoPlug, Raspberry Pi, BeagleBoard, CuBox, PandaBoard, and TrimSlice. Adventurous users have installed it on various smartphones. Ubuntu is everywhere, including ARM devices. Like Arch ARM, Ubuntu ARM is a complete distribution with thousands of packages, both desktop and server. For example, you can install a complete LAMP stack and Drupal on a PandaBoard. Armbian is a base operating system platform for single board computers that other projects can trust to build upon. Lightweight Debian or Ubuntu based distribution specialized for ARM developing boards. SliTaz ARM is supported by the official SliTaz project but with its own boot scripts for faster start-up. A base system will use around 20mb of RAM. SliTaz can turn an ARM device into a music or web server, a NAT, an IRC bot, a small desktop and much more. SliTaz Tiny/Touch Screen – The SliTaz Tiny/Touch Scren aka sts provides a suitable desktop for small screens such as a 320×240 TFT display. The screenshot shows sts running on the Raspberry PiTFT touchscreen. The desktop is powered by Openbox and LXpanel. All applications are started maximised and without decoration. I hope you like this post. Do you have any questions? Leave a comment down below!